When you need a case for your iPhone, a BluRay DVD player, a laptop computer or a gaming system, chances are good you head to Best Buy. The Minneapolis-based retailer has come out on top of the retail electronic wars, outlasting once dominant rivals such as Circuit City and CompUSA. One secret to the success of Best Buy has always been diversification, and the retailer was among the first appointed distributors for Brammo electric motorcycles. They followed up on this success by gaining the distribution and installation of Level 2 chargers for the Ford Focus Electric and the Mitsubishi I EV. Now that they’ve got their foot in the EV door, the retailer thinks it makes sense to expand into EV sales. While it’s clear that Best Buy could significantly improve the odds of success for an EV startup company, Bell thinks their distribution model could work with established automakers as well. The retailer already has a relationship with both Ford and Mitsubishi, and they’re beginning dialogue with other traditional automakers as well. Even if Best Buy never gains the distribution rights to the Ford Focus Electric or the Chevy Volt, automakers may well rely on the retailer to train customers in tasks such as smart phone integration or EV charger optimization. 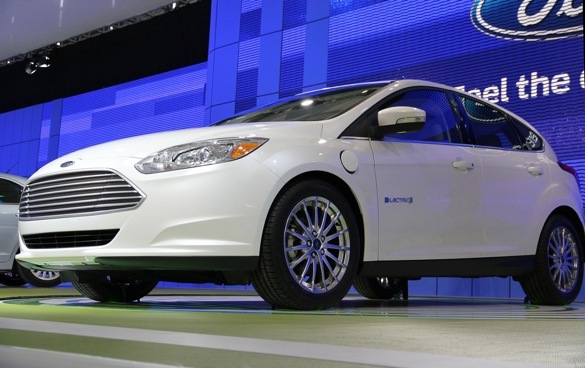 In either case, Best Buy has positioned themselves for growth as the EV market expands. There are certain things in my life I consider absolutes: I never want to see Roseanne Barr naked, I’m never again going to eat Brussels sprouts, I’m never going to buy a sports car with a slushbox and Rolls-Royce should never build an electric car. Let’s be honest here: no one needs a Rolls-Royce, and the brand has always been the equivalent of a socio-economic single digit salute. They’re about as far from politically correct as an automaker can get, at least until someone builds a car that runs on spotted owls and endangered desert tortoises. Imagine my horror, then, at reading about the Geneva debut of the Rolls-Royce 102EX. Best summed up as battery-electric version of the Phantom, the 102EX remains a design exercise only at this point. It’s purpose is to elicit customer reaction and to serve as a testbed for uber-luxury EV development. In other words, if enough potential buyers step up to the plate and say, “I want one”, the 102EX (or its progeny) could eventually see production. 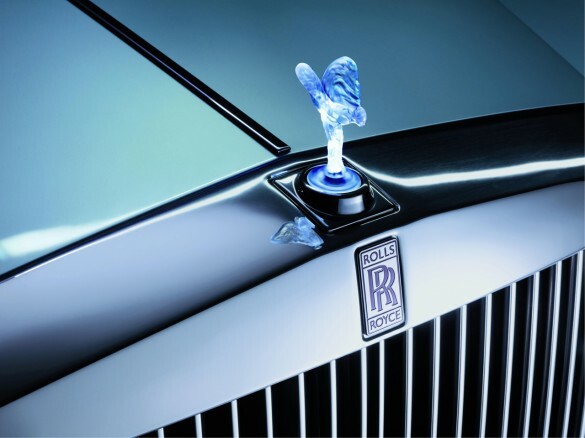 As for customer reaction, I sincerely hope Rolls-Royce has budgeted for deeply padded carpets and smelling salts in Geneva, because I see a lot of fur-wrapped gray hair hitting the floor at the notion of a battery powered Rolls. It begs the question of “what next”, and that’s not a road I particularly care to go down. Why not do away with the Rolls’ Connolly leather to make the PETA crowd happy? Is burled walnut sustainable, or are we depleting a finite reserve every time a Rolls interior is hammered together? How about the sheep used to supply the wool for carpeting? Has anyone considered the trauma they go through when sheared? Shouldn’t Rolls provide counseling as part of their environmental commitment? Call me old school, but I don’t see the appeal of a battery powered, hemp upholstered Rolls with a recycled wood dash and carpeting made from old soda bottles, even if you do charge an arm and a leg for it.